Lock in a great price for Argo – rated 9.2 by recent guests! Location good, quiet. Host very helpful. Room we booked had been already taken, so was given alternative apartment just up the road, which was great, so not a problem. The hotel was amazingly clean. The staff is really kind, polite, and helpful. It is located only few minutes from the port. The pension is new and in a good shape. The room was cleaned every day. Good food and with lower prices than in other places. The owner is very friendly. The location is excellent. Kindness and extreme availability from the owner. Great experience ! Modern bathroom. 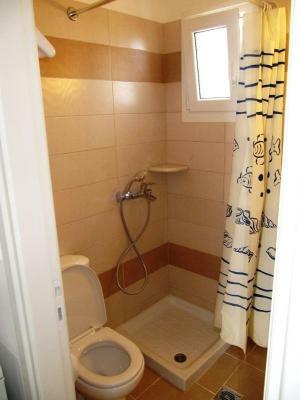 Exceptionally clean and tidy. Great air con. Great location. Very reasonable price. Good size room. Very friendly and helpful hosts. Friendly family run pension and taverna. We were made very welcome on arrival and everything was perfect. Nice quiet room at the back, comfortable bed, good bathroom, great terrace with comfortable outdoor furniture. Very clean, linen changed every day. Good location close to everything. Best place to eat on the island, Costa's cooking was most enjoyable especially the moussaka, braised beef and the lemon pavlova. Very friendly and helpful staff nothing was too much trouble. Cant wait to return, highly recommended. The room was lovely and clean, serviced every day and very comfortable. We loved the hospitality of the family and the great food and atmosphere of the restaurant. Had a lovely time. Wonderful stay! 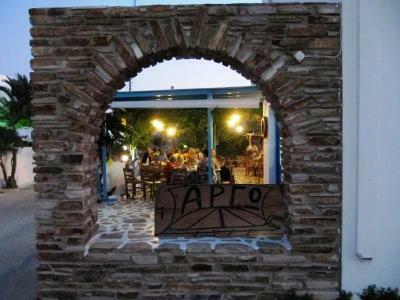 The room and outdoor areas were spotless, the entire owner family was so kind, the taverna serves delicious food in a most relaxing setting and the location is in a quiet, yet central, location. 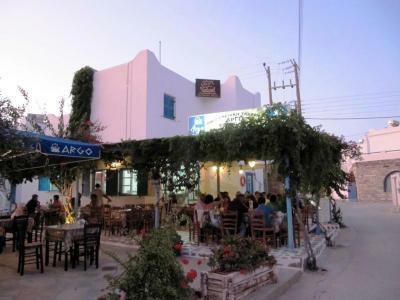 Next time in Paros I'll definitely stay at Argo. Located 1,000 feet from the port of Antiparos, Argo offers rooms with a balcony overlooking the garden. 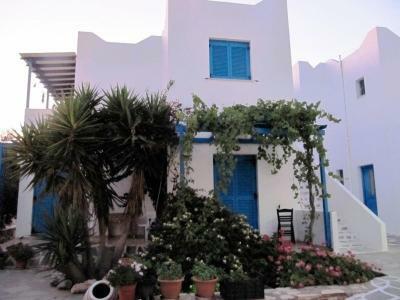 It is 650 feet from the nearest beaches and the center of Antiparos with shops and bars. 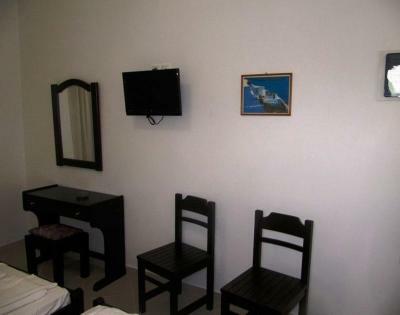 All air-conditioned rooms include a flat-screen TV with satellite channels. 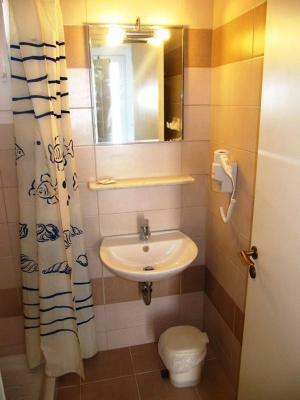 Further facilities feature an electric kettle, fridge and a bathroom with hairdryer and shower. Free Wi-Fi is offered throughout. 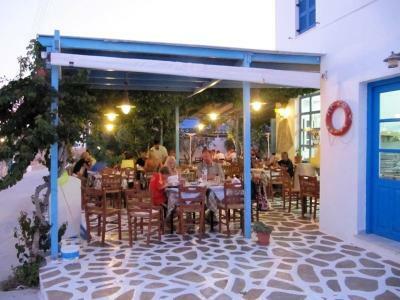 Guests can relax on the sun terrace, bar or restaurant. Alternatively, they can visit the Venetian Castle, 1,650 feet away and the Cave of Antiparos, 0.6 mi away. The property offers free parking on site and a shuttle service to/from the port. The room features a balcony overlooking the garden and a flat-screen TV with satellite channels. Further facilities feature an electric kettle, fridge and a bathroom with hairdryer and shower. Free Wi-Fi is offered throughout. Free! One child from 5 to 7 years stays free of charge in a crib. Shower curtain not very convenient. Bed frames were very creaky whenever we rolled over. No kitchen facilities other than a fridge and kettle. No bowls so we ate cereal out of the cups. Good sleep, great food and top personell. What could be better? For me, everything was fine. The conversations drifting from the taverna back to the rooms might disturb some, but it added a nice, homey touch for me. Mosquitoes. It was not always possible to access the internet. The location was good and the owners friendly. Free transport is offered to and from the port. I would consider staying again. The property has a restaurant.